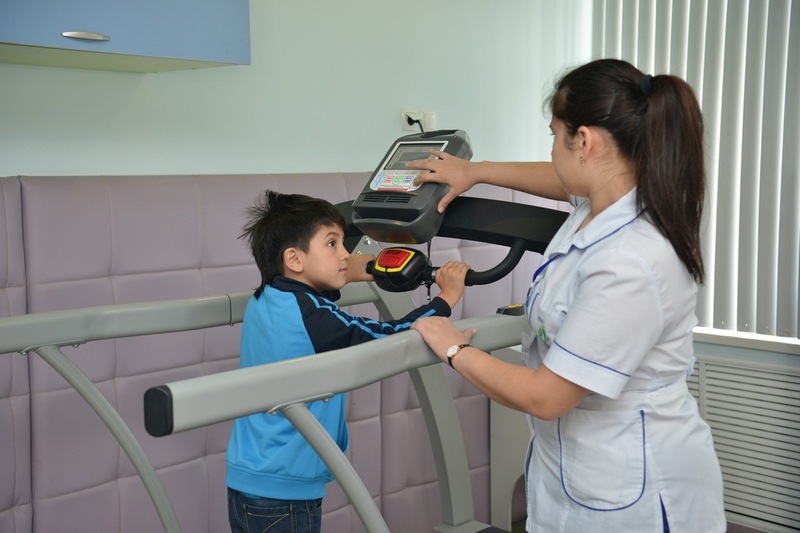 The National Centre for the Social Adaptation of Children (NCSAC) is a charitable organization which was founded by Lola Karimova-Tillyaeva in 2004 to provide assistance in the areas of diagnosis, orthopaedic and neurological treatment, speech therapy and education to children with disabilities. 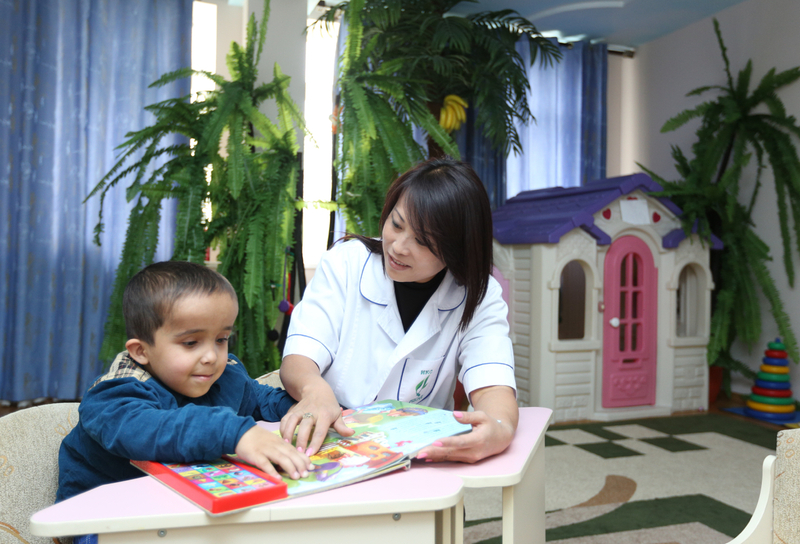 The NCSAC’s specialists – speech therapists, special educators, psychologists, neurologists, therapeutic exercise specialists, orthopaedic surgeons, masseurs, sign language teachers and art therapists – draw up individual development programmes for every child with disabilities or signs of stunted growth who comes to the centre. Since 2007, the charity’s experts have helped over 7,500 children aged between 1 and 18 with special needs, including children suffering from cerebral palsy, speech delay, autism, Down syndrome, as well as children with other learning disabilities. 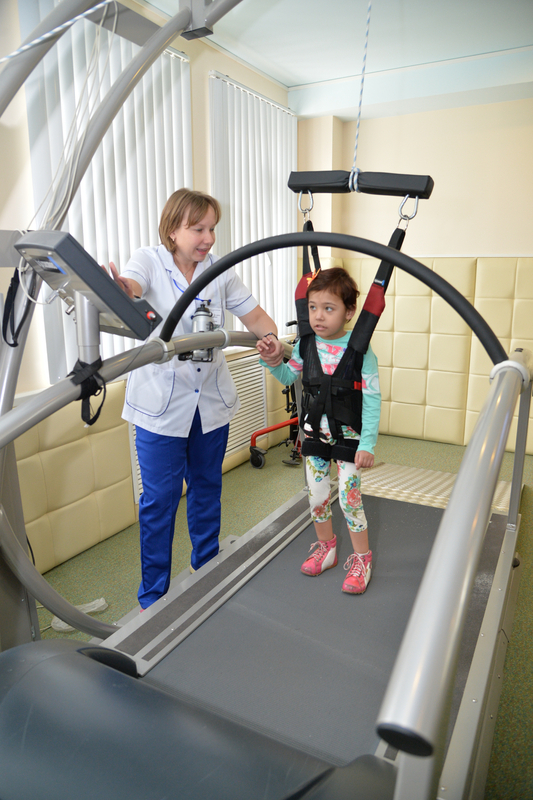 The Centre is fitted with the latest equipment for the functional recovery of children suffering from musculoskeletal disorders; a Lokomat treadmill, Solostep physical therapy devices, and standing frames all undoubtedly increase the efficiency of treatment offered. 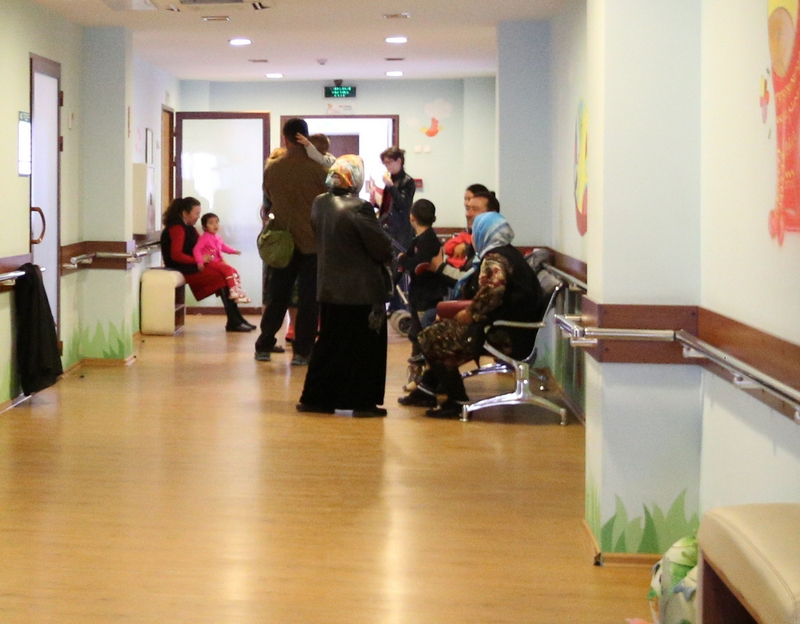 Advanced facilities make significant results a real possibility, including a child’s long-awaited first steps, one of the most rewarding moments when the centre’s specialists, children and parents see the fruit of their labours. 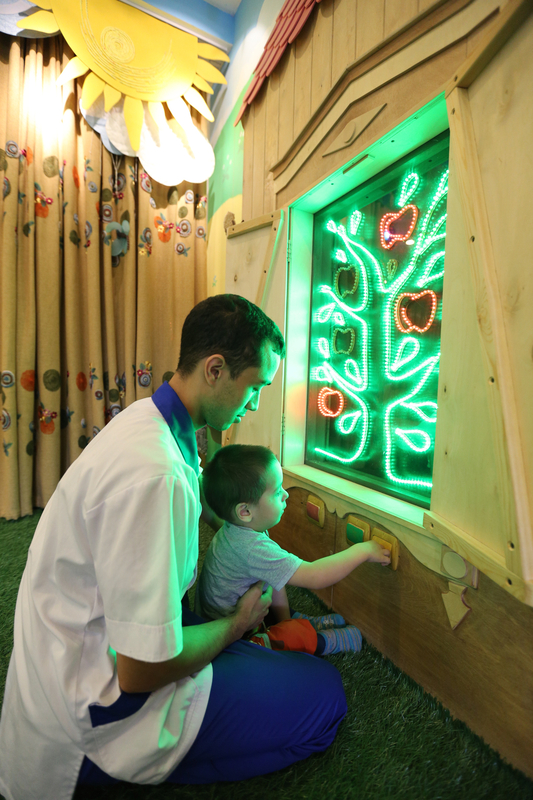 The rehabilitation programme serves to engage the children but also to develop their senses and skills through play in the sensory room, a special unit fitted with specific sensory equipment designed to stimulate an individual by acting on each of their senses, evoking positive emotional and motor responses in children with special needs. The sensory room has a significant therapeutic impact on children with sensory processing disorders, creating a stimulating and calming atmosphere. Sensory room therapy is extremely beneficial for releasing tension in children with spastic cerebral palsy, and easing anxiety manifestations in children suffering from neurotic disorders, too. 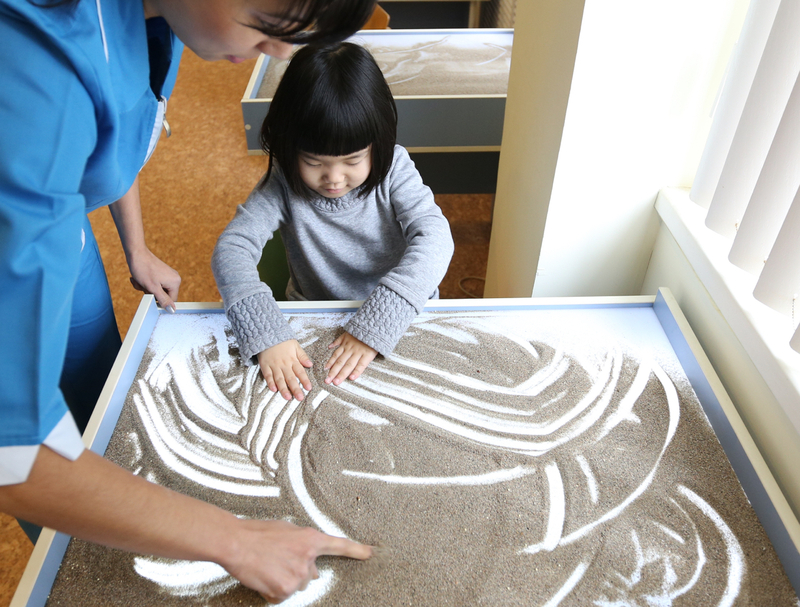 The sand therapy room provides children with an opportunity to create their own world in the sandbox by drawing sand paintings, expressing their inner world through various patterns and shapes. Sand therapy is used both for diagnosis and therapy within the overall programme of child development. Children also benefit from specialists in the Montessori room who base their work on the principle that every child is a unique individual, and therefore explores the world at his/her own pace. In the fairytale therapy room children are presented with music and attention-grabbing moving colours which act as creativity boosters. A three-tier hydrotherapy pool is specifically designed for children with special needs. The pool is fitted out with a swimming pool lift chair. Special hydromassage facilities regulate the volume and strength of massaging water flow. 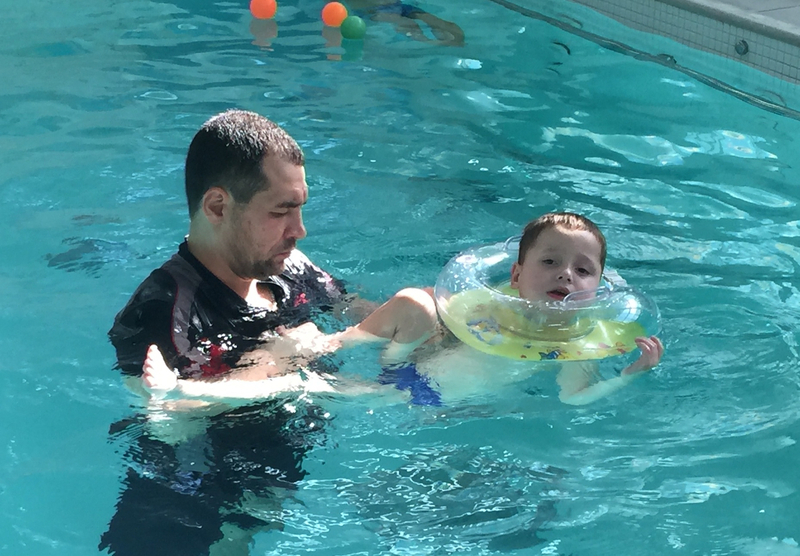 The benefits of aquatic therapy provided to children with special needs are immense, as hydrotherapy improves circulation, relieves pain and relaxes muscles. The Centre bases its work on the principle that much greater results can be achieved in the rehabilitation process when parents and treatment specialists unite forces and work together. 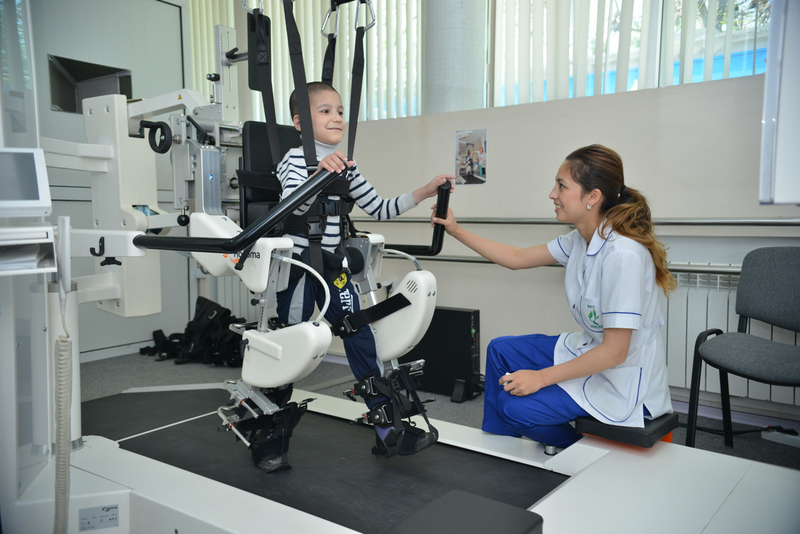 It is important for parents to stay alongside their children throughout the rehabilitation process as, by participating in this way, parents can better understand their children’s feelings, hopes and frustrations. The charity’s main goal is to ensure that every child with special needs who comes to the Centre for therapy attains his or her full potential. 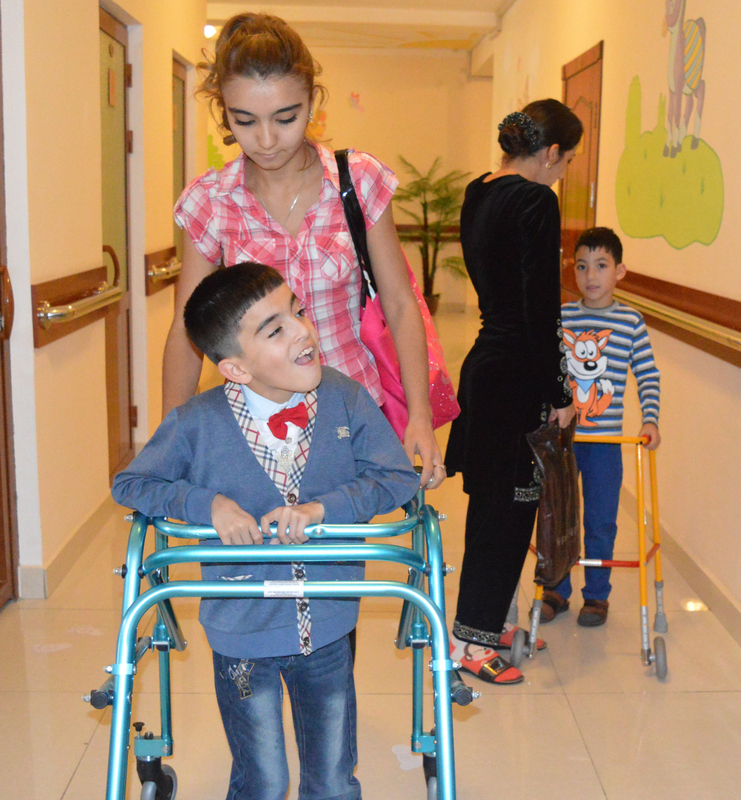 Promoting effective, quality education for disabled children is another important area of the charity’s work, so the Centre helps disabled children enroll in public schools alongside developing educational materials for children with special needs. The Centre conducts in-depth studies into the problems faced by children from vulnerable groups, children with disabilities, children with signs of stunted growth, children left without parental care and children from disadvantaged families. One of the Centre’s priority tasks is to expand its work throughout Uzbekistan. 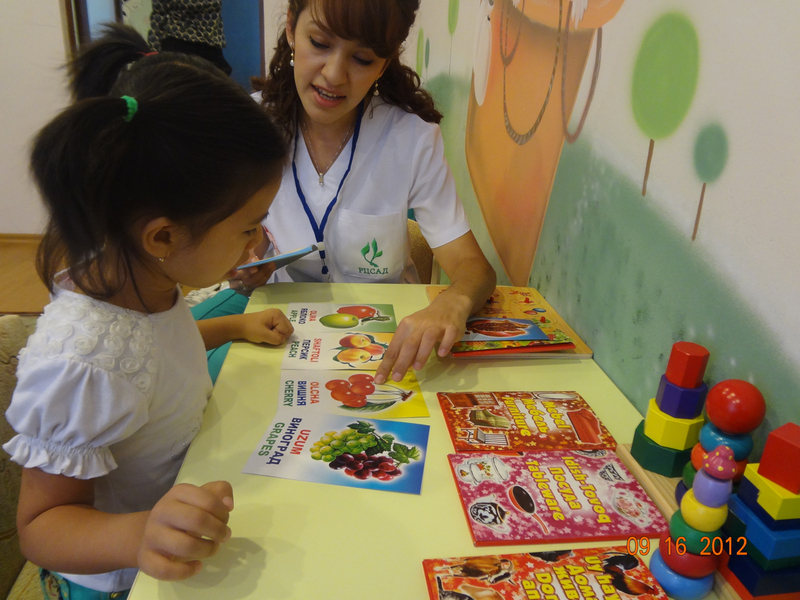 At present, branches are up and running in the Ferghana and Samarkand regions.